1. If you were an artwork what would you be? Antoni Tàpies, Collage del raspall (Collage of Brush) T-8327. Big mouth, big lips, big teeth, bit of a shambles. 2. Outside of your family who has had the biggest impact on you? Richey James Edwards. It was a cultural education. 3. Which song on your iPod makes you feel like you can take on the world? PJ Harvey’s ‘The Whores Hustle and the Hustlers Whore’. 4. When was the last time your heart skipped a beat? Putting my nephew Roman to bed: the innocence and promise of a child, eh. 5. If you were to do a TED talk what would it be about? I dunno, Something like”Foreign Worlds”, on the importance of immigration to a richer British culture, or “A simpler Life”, the false economy of the modern world. A school librarian. Or a mindless 9 – 5 where you leave your work at work and you don’t have to talk to anyone. 7. £14.20 left in your bank account, what do you spend it on? A bottle of red wine with my oldest friend Zanny. We’ve had great nights with less in our bank accounts. 8. What is the most treasured object in your own home? A portrait of the Bengali poet Rabindranath Tagore. My parents have a portrait of him in their living room too, so it reminds me of home and where I’m from. 9. Which book or film was a game changer in your way of thinking? Leonard Koren’s ‘Wabi Sabi’. It introduced me to a way of thinking that reconciled what had previously been conflicting themes for me of spirituality, nature and aesthetics. 10. Where’s your favourite place of calm to gather your thoughts? I only really feel calm by water. So it would be by the Thames Bankside. I went to school around there so it reminds me of an easier time. Or by Barbican. The combination of Brutalist concrete and greenery and water is a city ideal. Both places are incredibly peaceful at certain times of the day and night. Ronojoy Dam is group creative director at Dazed Group, which includes the magazine titles Dazed, AnOther and Another Man and their respective online platforms, as well as in-house creative agency Dazed White Label. After graduating from Cambridge University with an English degree, Dam returned to London where he fell into communications strategy at creative agency BBH while moonlighting in the capital’s underground nightlife renaissance. Prior to Dazed Group, he has been involved in a range of roles across influencer marketing, brand strategy and creative consultancy for clients both established; including Burberry and Nike, and independent. 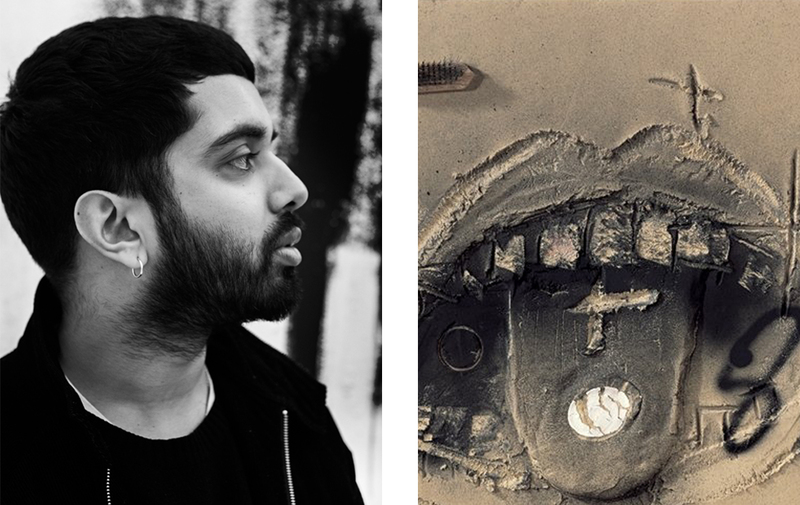 His work has been heavily inspired by cross-cultural commissioning, with projects involving diverse creative talent including Aaron Rose, Harmony Korine, Juergen Teller, Jun Takahashi, M.I.A, Tom Sachs and Tyrone Lebon. He has been quoted on the subject of fashion and marketing in publications including the Times, the Financial Times, the Guardian and the Evening Standard. Dam was born, raised and continues to live in east London.